Newton's 9th Law of Dynamics states that a body travelling backwards inside an rhomboidal universe gets squishy before it, inevitably, pops. Well, it would if Isaac had ever got that far. But no; after the 3rd Law, he frittered away all that genius trying to turn base metals into gold. And if a smart lad like him can get lost in alchemy, coincidentally the name of mega-synth Alchemy, favoured sonic weapon of such groove-meisters as BT, Sasha and Alchemy soundbank contrib, the human beatbox and World Loopstation Champion Shlomo, what hope for the rest of us? This is the question that's been bothering me with Camel Audio's Alchemy for the past two years. 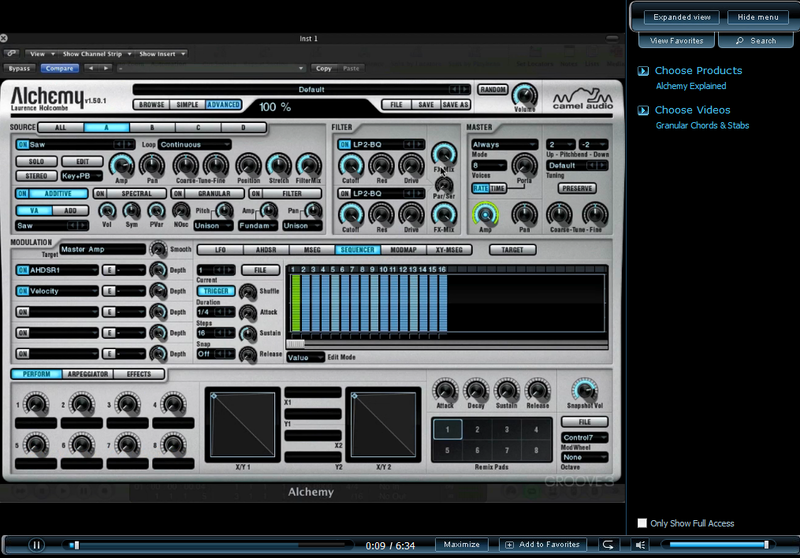 It's my go-to synth for anything beyond standard synthesis. I love the presets and expansions, and can throw audio files together to come up with happy accidents. But my problems come when I want to understand why it sounds a certain way and how I can tweak it to create the sound I have in my head. When I heard of Groove 3's video series Alchemy Explained, I moved faster than a duchess boarding the last lifeboat leaving the Titanic. Captain of our rescue vessel is Laurence Holcombe, member of high-octane AV assault squad Rebel Sonix and noted for his work with breakbeat duo DEF inc.
Alchemy Explained follows a familiar Groove 3 format - chapters divided into sections lasting from around 4 to 15mins each. 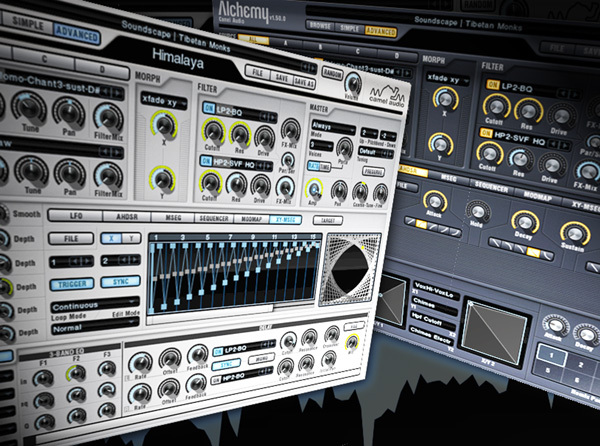 We start off with an overview of Alchemy, covering important things like the browser, which benefited from a major make-over in version 1.5 released last September (v1.50.1 is the very latest). Then there's detail of various oscillators, filters, envelopes, et al, while the final videos are about how to create a number of useful sounds. It's abundantly clear that Laurence knows his subject matter and both uses and likes Alchemy. His taste in music is a lot more up to date than mine and I'd probably end up using this vast synth to pursue different ends. 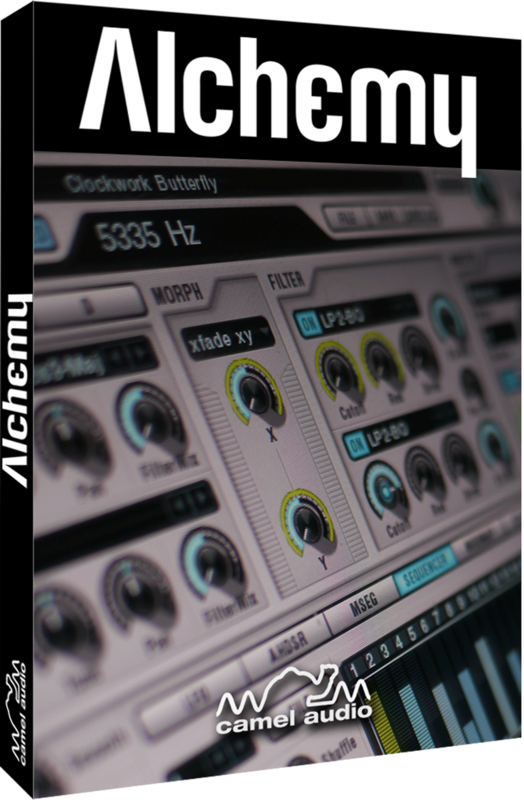 I was a little outside my familiarity zone sometimes, but that's usually not a bad thing and it does serve to illustrate the point that Alchemy is hugely versatile and not just for ridiculously epic, evolving soundscapes and pads. 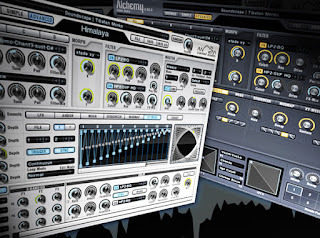 Indeed, there's a section covering virtual analog synthesis, which I knew Alchemy can do. I'd just never bothered with it, preferring dedicated synths like Sylenth for the job. Ignoring the VA side of things is doing Alchemy a disservice. The sections on additive and spectral synthesis I'll probably go back to and watch again since they're not easy to grasp, but all credit to Laurence. He has an expert's understanding of synthesis in general, but does take care to explain things thoroughly before getting on with the tasks at hand. Just about every knob that can be tweaked does get tweaked, and explained while being tweaked. This finally gives me the chance to use 'tweaked' thrice in one sentence and, by the by, such in-video tweakage makes things very clear. However, there are instances where I can't hear a change in sound, which is maybe a shortcoming of the video format. There are also examples in which Laurence imports samples from his WAV collection. I wished I had the same file to hand so that I could follow along exactly, but it does end up working in my favour. I'd import a similar sample of my own and tweak to come up with something original. In fact, I found myself frequently pausing the videos to go running off on a little journey of experimentation with a brand-new sound, arriving at many fresh [phresh?] presets that way. Luckily, or by design, Larry reinitialises his patches frequently when illustrating a point, so one never ends up following anything that bears no relation to what's on your own system. Something I'd not really done with Alchemy is import my own samples, since I have memories of it taking forever with other synths. And I'm occasionally unsure why and whether to use a particular import method, be it granular, spectral or whatever. However, I'm happy to report that Alchemy imports like lightning. Lazzer explains all the import formats more than once, so I'm now more relaxed about importing and that alone has really opened things up. There were also occasions on which I had the 'Ah! That's what that button does' moment. In fact, here's a backhanded compliment to Laz: I ended up feeling a little disappointed. Call me a fool [I'm saying nothing - ed], but I've spent the past couple of years being in awe of Alchemy. I thought programming it effectively was an arcane art that could flummox the likes of Newton. But now, instead of floundering around like a half-drowned duchess, I'm in the lifeboat. I still have to row to get somewhere, but Lar has taught me how and I now feel capable of repelling steerage-class scum with an oar (ie, expressing my personal sound-design strengths better than might lesser synthesists). This is one video set I had been waiting for and it certainly lives up to my high expectations. Now then, Mr Holcombe, you wouldn't happen to be a fan of Synthmaster, would you?